Arizona has 168 designated opportunity zones, including 160 low-income communities, plus 8 non-low-income contiguous tracts. Statewide, the vast majority (94%) of Arizona’s census tracts are urban. 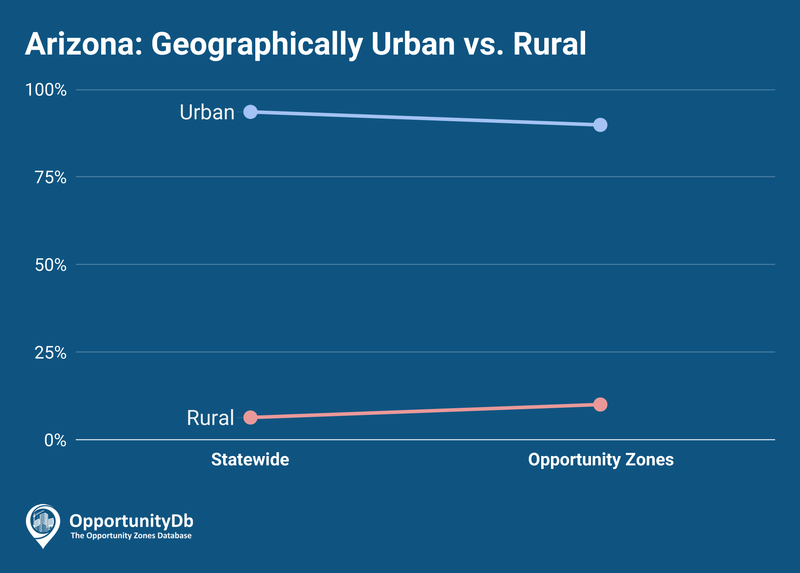 Consequently, only 10% of their opportunity zones are rural.